To be honest there is a not lot of Hunchback theming or references across the Disney parks but there isn’t exactly nothing either. Call-backs to Disney’s Hunchback are there if you’re in the right place at the right time. I’m not saying this is good or bad, it’s just how it is currently. So this is a list of Hunchback references across multiple Disney Theme parks that are currently there (to my knowledge as of this post) and Hunchback stuff that was there in the past. In Disneyland, there is Clopin’s Music Box in Fantasy Faire. It’s plays Topsy Turvy. In Hong Kong Disney there is a Clopin themed restaurant called Clopin’s Festival of Food. This restaurant serves Chinese food that includes Guangdong BBQ, noodles and wok-fried dishes. This is located in Fantasyland. At Walt Disney World, the Magic Kingdom’s Nighttime Firework show called Happily Ever which includes projections on Cinderella Castle along with music features Out There with Hunchback Clips. And the video I saw of it, the crowd loved seeing Hunchback in it. They cheered loudly for Quasimodo. At Walt Disney World, Frollo appears in Fantasmic at Hollywood Studios. I should point out that this version of Fantasmic has not been updated in a while so while Frollo is featured with the villains here he is not at Disneyland’s version of Fantasmic. At Disneysea, which is part of Tokyo Disneyland, Hellfire can be heard a little during their version of Fantasmic. It’s during a part with fire so it makes sense. There was the Hollywood Studios Hunchback show at Walt Disney World. This show ran from 1996 to 2002. There was the Hunchback of Notre dame Topsy Turvy Cavalcade at Disneyland. This was a mini Hunchback parade that had two floats. At DisneyLand Paris there was the Carnival of Fools Parade. At DisneyLand Paris for their 5th anniversary in 1997, Sleeping Beauty Castle was decorated in a Hunchback Theme or Festival of Fools style. At the Full of Villains Unleashed Hades Hangout show, which was halloween event, Frollo appears. he’s number 22 in the line up. The themes Disney seem to go with for Hunchback is either Topsy Turvy or Frollo. Curious. Though it make sense. 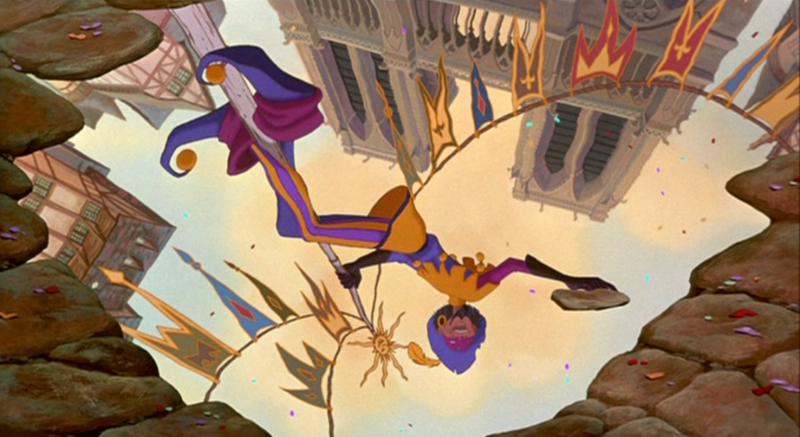 Topsy Turvy was used heavily in the marketing of the film and Frollo/Hellfire stole the show a bit. 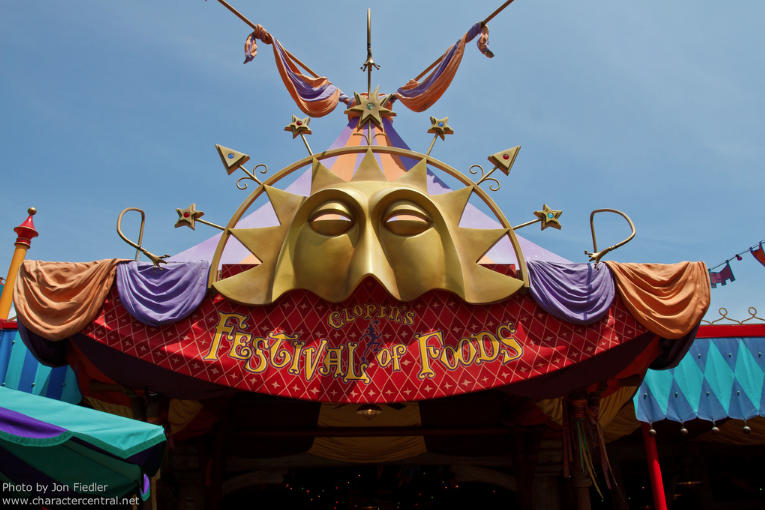 In honor of the Feast of Fools let’s quickly look at Hong Kong Disneyland’s restaurant Clopin’s Festival of Foods. They serve Chinese food there which, no judgement or anything, but considering Clopin himself is a little bit of a head scratcher but whatever I would eat there, It’s look cool and fun. So in honor of this eatery and sticking it to the man, let’s eat Chinese food on this Christian Feast Day which is also the Epiphany.